Mixed doubles curling might be a relatively new sport, but Kalynn Park and Charley Thomas are among the pioneers of the game. Park and Thomas opened the round robin at the 2018 Canad Inns Canadian Mixed Doubles Curling Trials with an important first win. 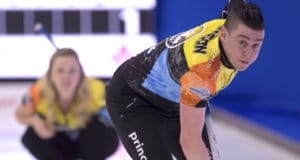 Calgary’s Kalynn Park and Charley Thomas fell just short on Wednesday in a bid to defend their mixed doubles curling gold medal at the 2017 Audi quattro Winter Games New Zealand. 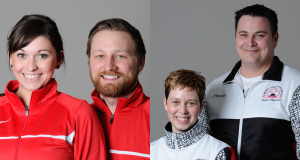 Canada’s two most recent national mixed doubles curling champions won’t just be encountering unfamiliar faces and unfamiliar conditions next week at the Audi quattro Winter Games New Zealand. 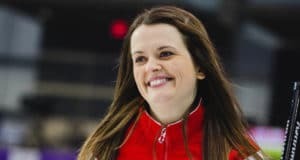 With a 9-6 win over the USA on Friday afternoon, Calgary’s Kalynn Park and Charley Thomas are one step closer to the medals at the World Mixed Doubles Curling Championship in Sochi, Russia. 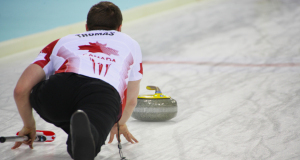 After losing their first game of the competition on Tuesday, Canadians Charley Thomas and Kalynn Park rebounded with two decisive wins on Wednesday at the World Mixed Doubles Curling Championship in Sochi, Russia. 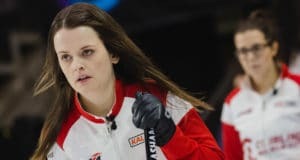 They made it close, but Canada came up just short in a 9-6 loss to Scotland at the World Mixed Doubles Curling Championship in Sochi, Russia on Tuesday morning. 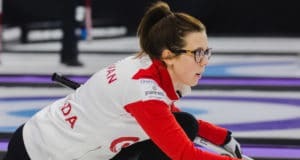 With three days of competition completed at the World Mixed Doubles Curling Championship in Sochi, Russia, Calgary’s Kalynn Park and Charley Thomas remain at the top of the leaderboard with a 5-0 record. 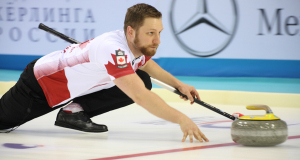 Canada’s Charley Thomas and Kalynn Park posted two more wins on Sunday to remain undefeated in pool play at the 2015 World Mixed Doubles Curling Championship in Sochi, Russia. 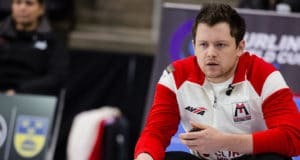 Charley Thomas and Kalynn Park kicked off the World Mixed Doubles Curling Championship with a dominant win over Hungary on Saturday in Sochi, Russia. 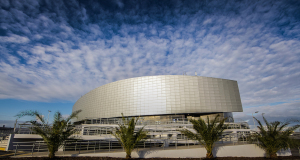 Three Canadian curling teams will be looking to add to our country’s 2014-15 international medal haul beginning Saturday when the 2015 World Senior Men’s, Senior Women’s and Mixed Doubles Championships get underway in Sochi, Russia.